Divisions over Israel have become an increasingly significant feature of Diaspora Jewish communities in recent years, leading at times to serious and bitter conflicts. These divisions have begun to be recognised outside Jewish communities as well, and in some cases have been leveraged by those accused of antisemitism to provide ‘alibis’ for their words and deeds. All but the most extreme antisemites can find sections of Jewish opinion that will indemnify them, In this talk I will give some examples of this emerging phenomenon on both the political left and right, in order to demonstrate that the controversy over antisemitism in the Labour Party is part of a much broader phenomenon. 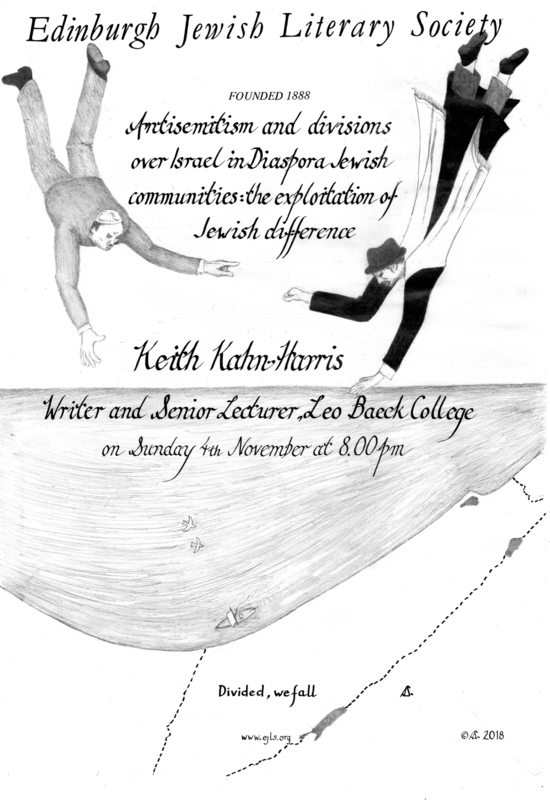 Keith Kahn-Harris is a senior lecturer at Leo Baeck College, an associate lecturer at Birkbeck College and runs the European Jewish Research Archive at the Institute for Jewish Policy Research. His books include: Denial: The Unspeakable Truth (2018) Uncivil War: The Israel Conflict in the Jewish Community (2014), Judaism: All That Matters (2012) and (with Ben Gidley) Turbulent Times: The British Jewish Community Today.